Amazon.com Inc. (Nasdaq: AMZN) reported strong 2015 Q3 earnings on Oct. 22. Amazon beat analysts' expectations, reporting earnings per share (EPS) of $0.17 on $25.4 billion in revenue. Analysts had projected an EPS loss of $0.13 on revenue of $24.9 billion. Hedge fund manager Stanley Druckenmiller, known for shorting the Bank of England with George Soros and reportedly earning $1 billion in profits, recently shared that he bought Amazon stock during Q3, according to Business Insider. Strong Q3 earnings for Amazon and the support of a legendary hedge fund manager are certainly playing into the Amazon stock price rising today. For the first time in its history, Amazon opened a brick-and-mortar store in Seattle. Bookstores have long worried that Amazon's efficient business model would drive them out of business. This move is perplexing to some AMZN investors, however, as it appears counterintuitive to Amazon's current business model. 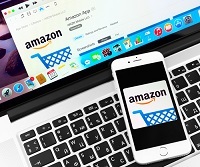 Amazon has long avoided the costs associated with running a brick-and-mortar location, cutting down on operating costs and avoiding excessive overstock. Traditional bookstores have issues with projecting the right amount of inventory to have on hand. These stores either have too much inventory on hand, which restricts room for new titles because of overstock, or there is not enough inventory on hand and sales are lost. Amazon is able to tap into its real-time data to not only find out what is trending in the book world, but the tech giant is also able to break down geographic spending habits. It can see what titles and authors are popular, and Amazon could tap into demand for book signings based on popular authors Seattle residents are interested in. This eliminates costly overstock and allows Amazon to keep its model of efficiency.